Discover Homes You Cannot Find Anywhere Else Online! buyer competition you will face. 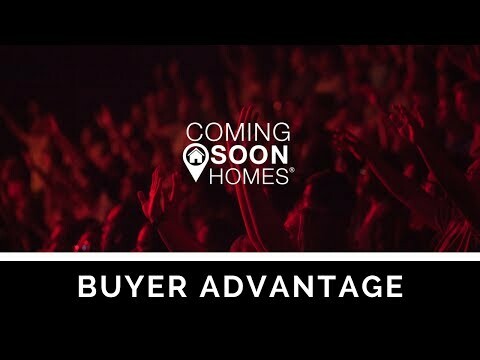 ComingSoonHomes.com is an innovative website where home buyers (including first time home buyers) can find homes in the US that are not on the market, but will be within the next few weeks or months. 1.5 Acres in Sandy Valley! Struggling to find a home that meets your needs? How Can Coming Soon Homes Help? We help you find your next home BEFORE it hits the market! With home inventory declining, and new home construction struggling with the uphill task of servicing the need for lack of inventory, it is more important than ever to know about real estate before it is ready for showings. This gives you, the home buyer, more time to research, prepare, and plan for once the home you have your heart set on actively hits the market. Why Is A Free Search Account Helpful? We give you top secret access to see ALL the details about homes you are interested in! The reason we ask you to create a free account is so that you have the ability to see all the prices, pictures, property details, 3D tours, maps, schools, and more. If you end up finding a home you like, be sure to favorite it by tapping the heart icon on the top corner of the property picture. This will automatically sign you up for notifications on that selected property. While we build each homes profile, you will be notified each time new details and pictures are added. Want to be sure you don't miss out on when the home starts showings? Don’t worry! You also are notified when that home has an open house scheduled and once it officially goes active! These homes you will not find on ANY other website online yet so be sure to create a free account! Home Buyers, Why Search For Homes 'Coming Soon'?